This Saturday was one of those days when nothing we planned happened the way we planned it. But saying “No” is not one of our strengths. So when it was almost evening and we still hardly crossed anything off our To Do List and one of our neighbors came over asking if he could sit down to talk to us we just looked at each other and said to him with a why-not-smile: “Sure”. He told us all about his family troubles, drugs, gang issues, crime and asked us to pray for him and his entire family. We prayed together and lifted all his troubles up to the Lord. We asked Him to bring His peace, His love, His mercy and wisdom into his home. 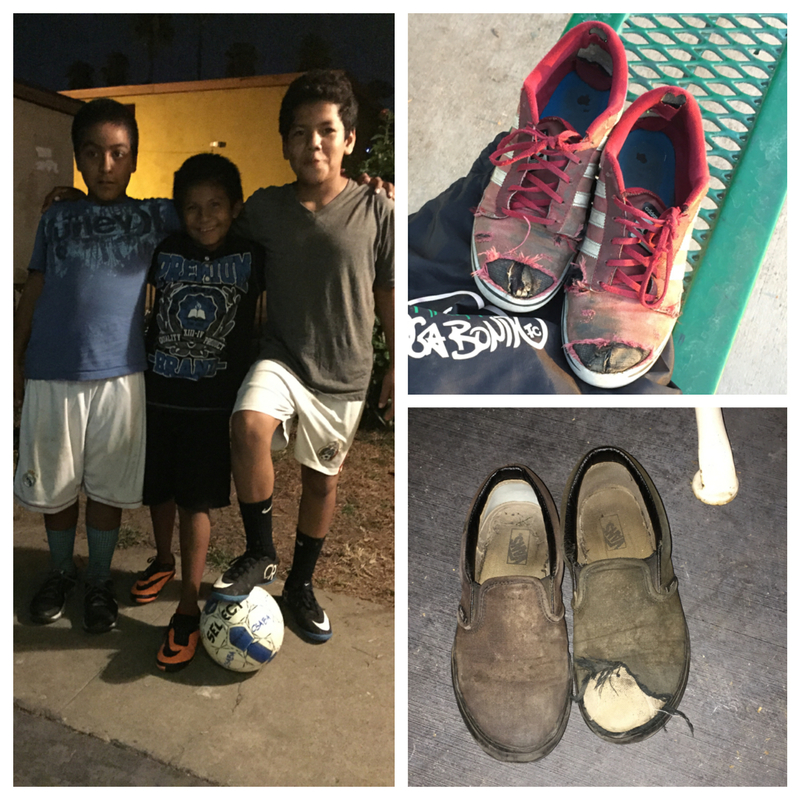 Replacing the old shoes with some nice futsal shoes donated and sent by our good friends and supporters, the Konkus Family. Thank you! Every Monday when the kids get off the schoolbus they run to a grassy spot in front of the buildings because they know that it’s time for ABC, the Anaheim Bible Club. Our good friends and supporters: Peggy and Chuck founded the Bible club many years ago. There are a few kids now who are second generation Bible club-ers! Joining their club accelerated our acceptance into the community. Working with them from the moment we moved in made it clear to the people what we were all about. It’s not easy to compete with the junk food truck when the kids are so hungry after school. Yet they run to us because we feed their little souls not just their bellies. 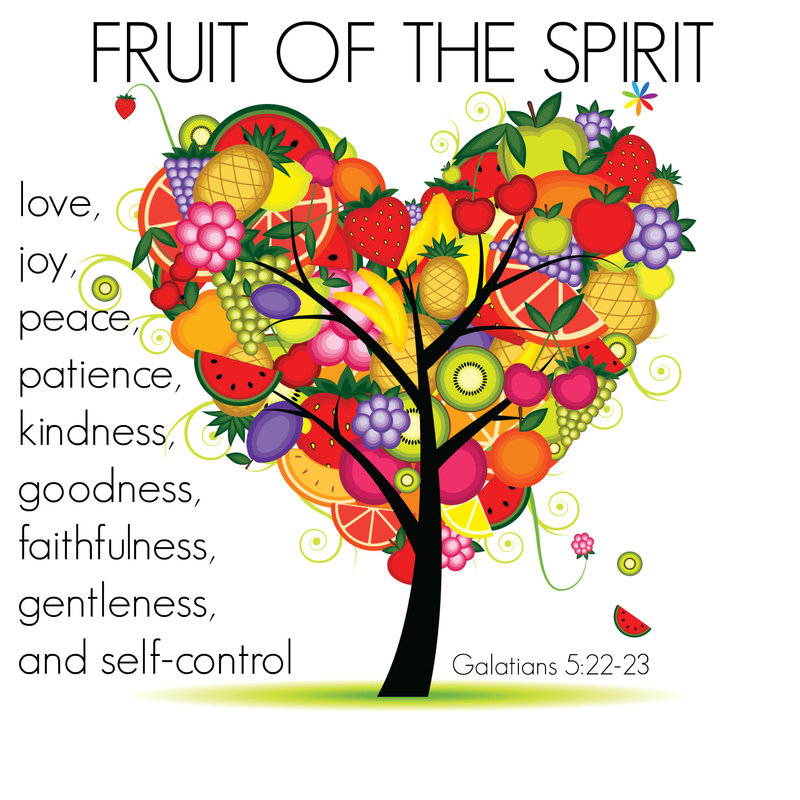 Today they learnt about the Fruit of the Spirit.